Newly renovated 4 bedroom, 2 bathroom home on 0.24 acre lot in town. 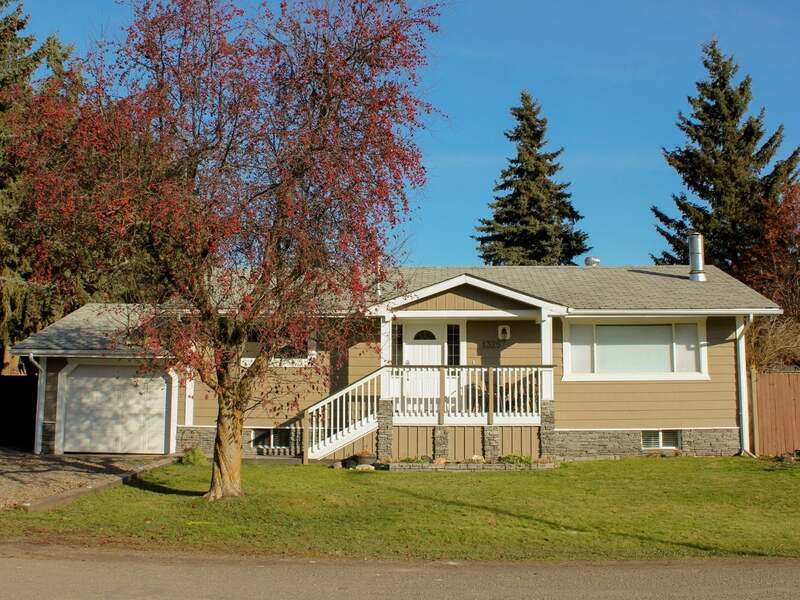 This 2-level home features heated bathroom floor, 2 natural gas fireplaces, hardwood flooring in the living room, a central vacuum and a large basement storage area. There is easy access to schools, restaurants and community rec centres. The big fenced yard makes this property ideal for anyone. Plus, the included greenhouse, garden and 220 amp workshop make it a long-term choice. Other updates include the exterior porch, fixtures, doors and windows. Located in desirable neighbourhood with a nice view of Hudson Bay Mountain. A must-see! Floor Area 2,107 Sq. Ft.